“Laptops haven’t evolved,” Matt Vokoun of Google said, as he unveiled the Google Pixelbook at a media event in San Francisco on Wednesday. The Chrome OS-powered Google PixelBook is fast and secure, the executive said. It’s also very compact with 10mm thin body and just 1-kilogram weight. The Google Pixelbook is also the first laptop, he said, to feature Google Assistant, the company’s AI-powered virtual assistant. It also comes with a smart pen. The new Pixelbook sports a 12.3-inch display and comes in three configurations. It starts at $999 (roughly Rs. 65,000), with the Pixelbook Pen priced at $99 (roughly Rs. 6,500). The company says it will start allowing customers to pre-order the laptop starting Wednesday itself. It will go on sale on October 31. The Google Pixelbook has a 12.3-inch display with Quad HD resolution and 235ppi pixel density, and supports up to 16GB RAM and up to 512GB SSD; buyers can choose between Core i5 and Core i7 processor options. 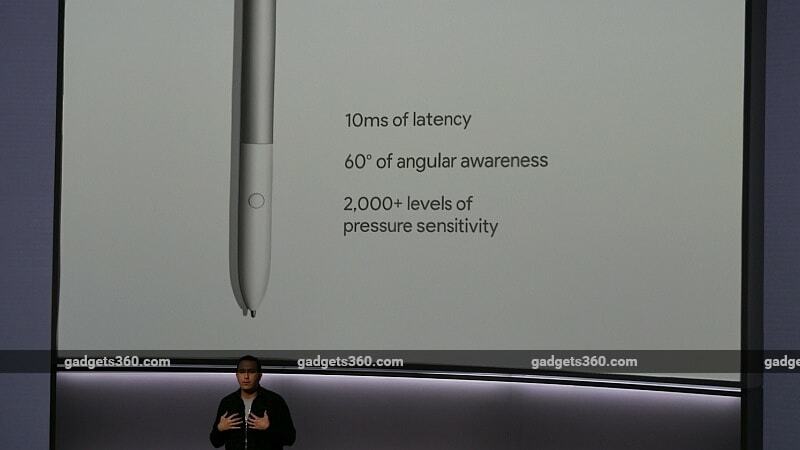 It has a 10-hour battery, and uses USB Type-C charger; its Instant Tethering feature allows the Chromebook to automatically connect with the Internet connection of the user’s Pixel phone in the absence of a Wi-Fi connection. “You can fold the keyboard underneath. You can use it as a tablet. It’s the first convertible laptop that feels natural to use. Whether you want to use this device in classroom, office, or on a plane, this device is for you,” Vokoun said. Because it also doubles as a tablet, Vokoun said, there is a pen to go along with the Google Pixelbook. Even as Chromebooks are gaining traction in the education market and among enthusiasts, the company’s own line of laptops are lagging, according to figures from marketing research firms. Google would be hoping to change that this year.